I didn't realized that marbleized paper ca be used as art work. Not only an art work but a master piece. See the wall art above? Those were made from marbleized paper that were scanned and printed on canvas. You may also have your design printed on fabric. 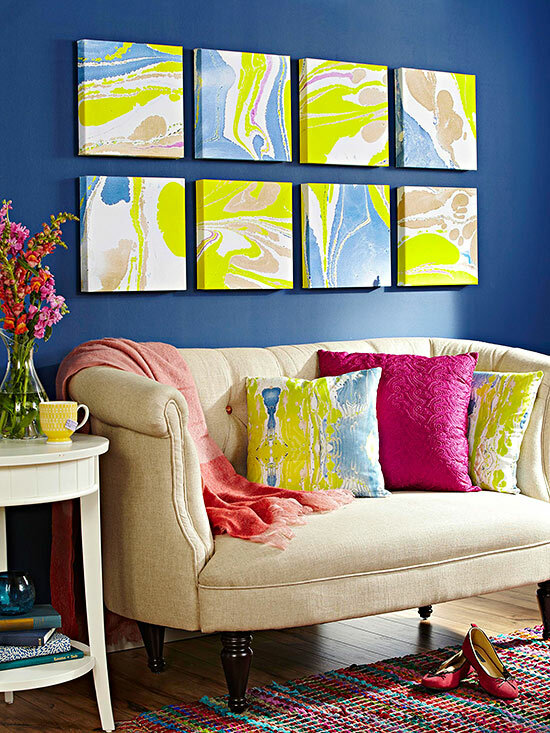 What an awesome way to give colors to your wall! This is an easy DIY that can be done on a week end. If you are interested to learn how to make a marbleized canvas, you can check this website for a detailed instruction. Enjoy!